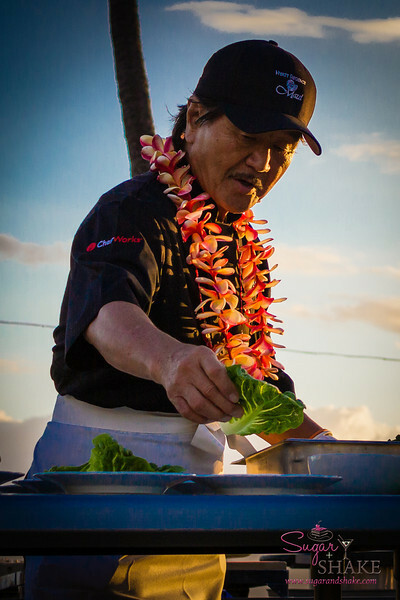 This year's Kā‘anapali Fresh weekend food event culminated in the opening event for the Hawai‘i Food & Wine Festival. We got to enjoy several days of #KFRESH13 fun as well as the Mālama Maui #HFWF13 dinner. Disclosure: Sugar + Shake were hosted by the Maui Visitors Bureau, Kā‘anapali Resort Association, Kā‘anapali Fresh and the Hawai‘i Food & Wine Festival. Travel, accommodations and access to events were provided by the hosts, but no compensation was received for this post, and the opinions expressed are strictly our own.